Having a nice Christmas season. Things are still improving slowly. I’ve noticed I’m not as strong as I think. I went to two grocery stores today, not long trips. Made some sausage and sauerkraut. Turned out yummy. Home run. Then I made some melted white chocolate with Mexican vanilla and Heath bits. 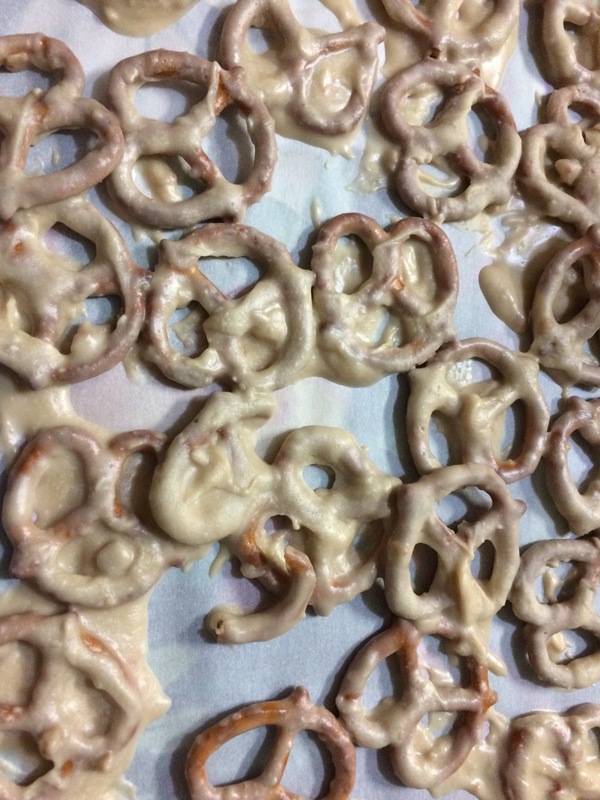 I dipped pretzels and chex mix into the mixture. Turned out good. Really good. Another home run. I am doing good. I got really tired while in the kitchen towards the end. Really tired. Had to sit and rest for a while. It came on rather quick and caught me off guard. I got a bit frustrated, not having done much and becoming so tired. I had to go to a bigger view and remember it has only been six weeks since my stem cell transplant and only four weeks at home. I feel nearly human now, especially after the pounding the Cowboys gave the Colts yesterday. I forget that my stamina and energy reserve is nearly zero. Much activity and I crash hard. I have so much to be thankful for. I thank God for my family, friends, and improving health. I thank you all for your love, prayers, and support. I thank God I am here this Christmas and can share this story about being good and tired. Reminder to go to http://www.kraftsims.com to see the videos and pictures of my chemo and stem cell transplant. This entry was posted in cancer, happy, healing, health, joy, recovery, Uncategorized and tagged burkitts, christmas, lymphoma, stem cell, tired, transplant. Bookmark the permalink.